Randall Stephenson and team over the last decade probably have the best management results in the Western world. I attribute that to a CEO who encourages others to lead. Fuetsch, John Stankey, and John Donovan have positioned T as the world leader in Software Defined Networks, likely yielding a major improvement in costs. Some things few realize about today's AT&T: They are in the middle of eliminating 70,000-80,000 jobs, one of the largest cutbacks in history at a profitable company. (NY Times, FNN) SDN is great for operations, bitter for jobs. They have 60 MHz of unused spectrum, enough to duplicate Verizon's complete network. Ask them, and they will tell you they are “no longer a telecom and wireless company. We are a media company,"
Use the plastic sheathing around the phone wires as a waveguide. With 1,000x more spectrum, you get 1,000 more speed. Glass fiber optic waveguides can carry 250 terabits. John Cioffi wants to apply similar techniques using the air gaps between the plastic surrounding a billion phone lines. The proposed terabit DSL can use 300 GHz+ of spectrum, "submillimeter waves." Current DSLs use 100-500 MHz. Higher frequencies just wouldn't make it through a standard copper wire. The signals get weaker (attenuate) very quickly in copper. 500 MHz can only carry about 30 meters. Gigahertz, even less. Cioffi proposes using the tiny air spaces between the plastic insulated wires as a "waveguide." The signal would travel over the air gaps, not the copper or plastic. Fiber optic, glass or plastic, "guides" the waves; why couldn't the plastic insulation do similar? (The waves are very, very small. They can easily fit in the gaps.) The signal is carried through the air between the wires, not on the copper wires. I'm pretty sure it won't be that high, but with "unlimited" wireless it should become more of a factor. 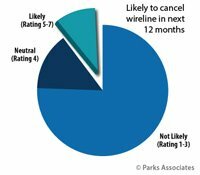 Parks Associates, a decent research house, just put out a survey, "10% of U.S. broadband households likely to cancel their fixed broadband Internet service over next 12 months. ... 15% of heads-of-household ages 25-34 are likely to cancel their fixed broadband service in the next 12 months." Wireless broadband is now fast enough many places for almost all practical purposes. Much of the U.S. is covered at 20 meg or more, higher than most DSL. That's enough for 5 HD streams. The speeds in many locations are headed to 50-150 megabits over the next two years. The limiting factor has been the cap, often at 2-10 gigabytes. Estimate for 100% ultra-high speed goes from € 20 billion to € 34.9 billion. Cour des Comptes, the French government auditor, has recommended a rethink of France's plan to bring very high speed to 80% and high speed to 100%. They estimate the cost will be much higher and the expected private investors are not interested. 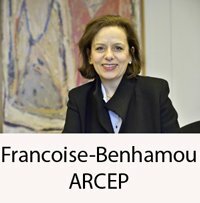 Instead, they call for "un « mix technologique »"
Sebastian Soriano, chief of regulator ARCEP, warns of "rural desertification and the risk of decommissioning of certain territories, their inhabitants and their businesses." He recommends only modest changes to the plan, such as wholesale operators in rural areas. Technology in wireless is moving so rapidly that telcos could increase capacity 8-10X in the next few years without raising capex. They may not because they won't be able to sell so much data. Cisco projects a 7X increase in demand in five years, less than the potential capacity increase. 50 Million Chinese Fiber Home Connections Added in 2015. 130M Total, Unbelievable But True. 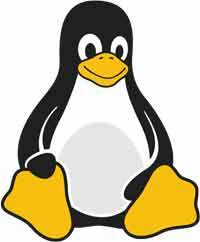 "IPv6 celebrates its 20th birthday by reaching 10 percent deployment"